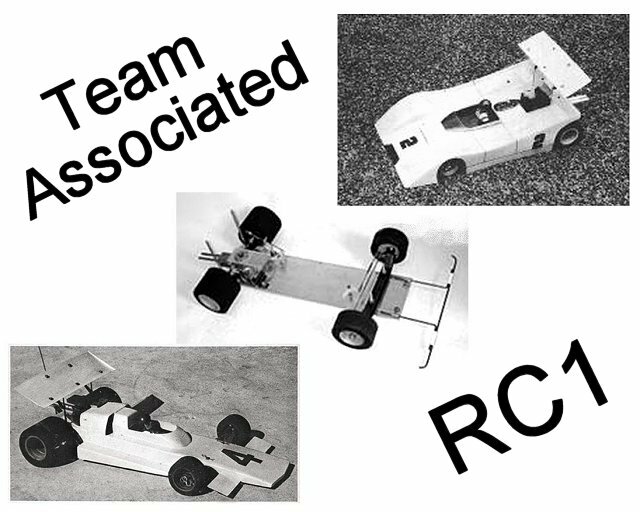 Team Associated RC1 • (Radio Controlled Model Archive) • RCScrapyard. RCScrapyard ► Iconic Vintage Radio Controlled (RC) Model Car Archive ► Team Associated RC1. 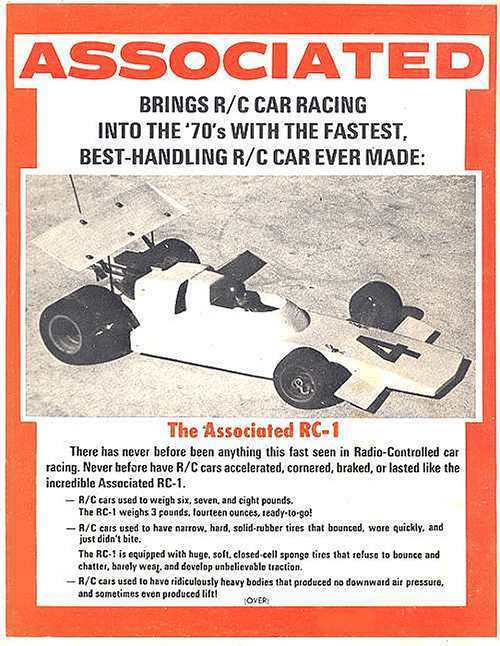 Designed by Roger Curtis and Mike Morrisey, Team Associated released the RC1, on-road, radio controlled pan car model in 1971. The alloy plate chassis based model was available with either a Formula Car (F1), or Sports Car bodyshell and had successes in the 1971 and 1972 ROAR Nationals driven by Chris Chan and Chuck Hallum. To race the Team Associated RC1, it must be fine tuned to improve handling, provide responsive steering and give you the grip to cruise around corners at high speed, without slipping off the track. Small adjustments can make a Big difference and our step by step procedure, will guide you to the best Set-up for your individual driving style.